As fall begins to roll at full speed, sometimes the simple routines we love and enjoyed during the summer unconsciously slip away due to busy schedules or more responsibilities. But such simplicity need not be let go. 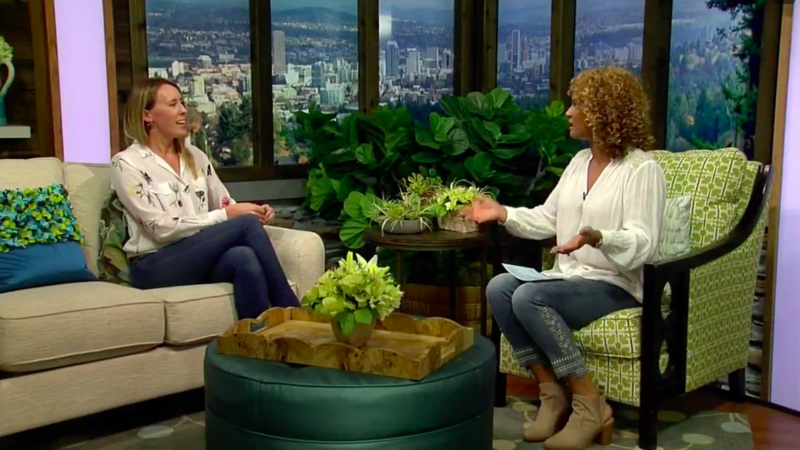 Recently I had the opportunity to sit down with Emmy winner Tra’Renee Chambers, host of Portland’s Afternoon Live talk show and share five ways to bring back the simple. View the segment here and read the entire script with more details about how to navigate life while living simply here. ~Seen in the video, wardrobe: Vanessa Seward jumpsuit, Citizen Eco Drive watch, custom name necklace by Jennifer de Moro Jewelry, Equipment silk floral blouse spring 2017, similar here, dark wash skinny jeans – Frame Forever Karlie; hair cut, color and style by Tina H at Coterie; view skincare and makeup products here.